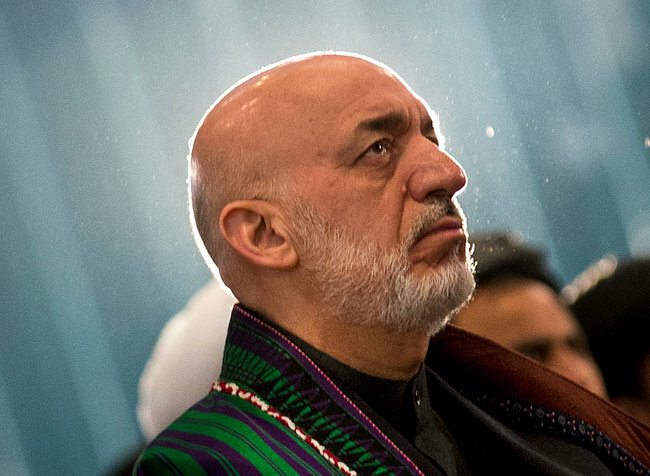 President Hamid Karzai acknowledged on Monday that the Central Intelligence Agency has been dropping off bags of cash at his office for a decade, saying the money was used for “various purposes” and expressing gratitude to the United States for making the payments. This is an open secret haha ! I wish he reveals what proportion of those benefits he received from CIA was allocated to pamper the Taliban and other armed groups. I also wish he acknowledges the ‘benefits’ he has been receiving from ISI for decades and other agencies such as RAW. Hamid Karzai is one of the MOST corrupted leaders ever ! Traitor! Traitor! Traitor! a;; the cash is not worth one afghan killed and you still wear that traditional garb and talk garbage!.